United States Rep. Mike Coffman, R-Colo., 6th District, delivers his concession speech during an election night party in Lone Tree. 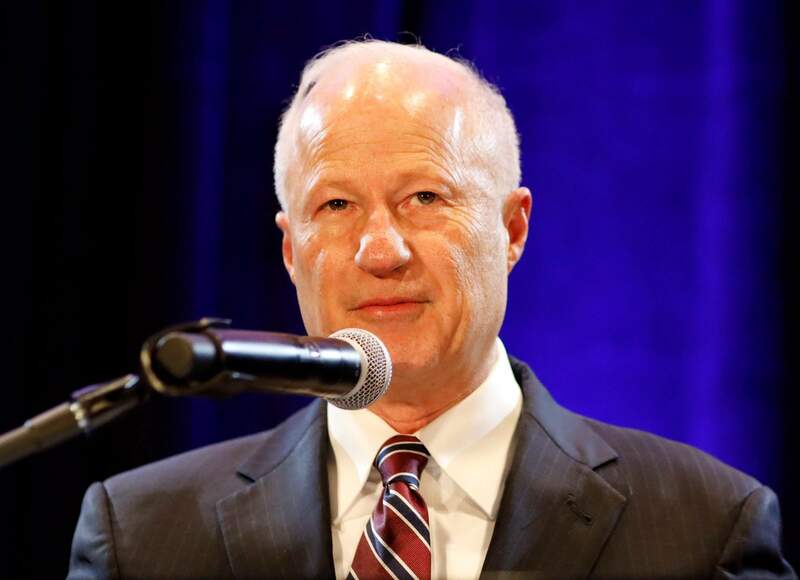 DENVER – Five-term Republican U.S. Rep. Mike Coffman blamed his defeat in Colorado on resentment toward President Donald Trump – but Trump is offering no sympathy and accepting no responsibility. 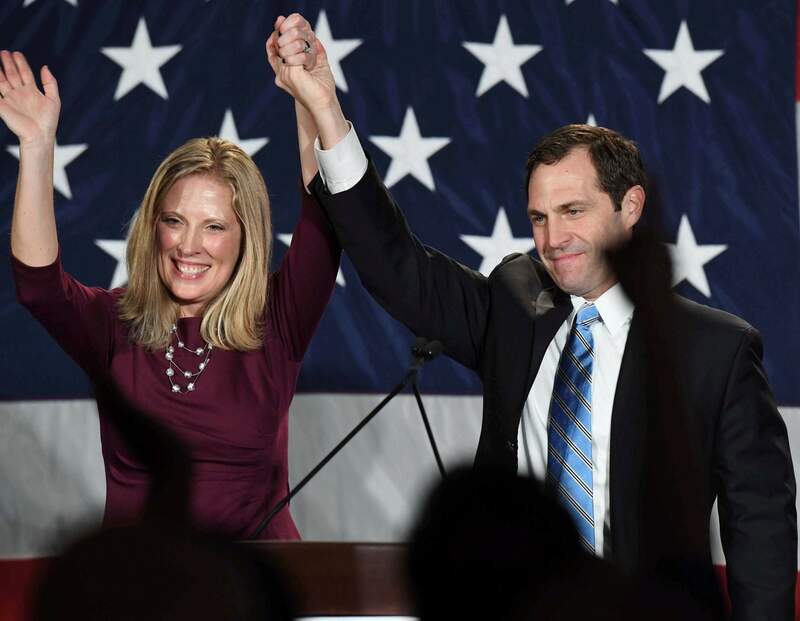 Newly-elected U.S. Rep. Jason Crow addresses Colorado Democrats with his wife, Deserai Crow, by his side at the Westin Hotel in downtown Denver on Tuesday. Crow unseated Republican Congressman Mike Coffman for the 6th Congressional District seat. Three other incumbent Republican congressmen won re-election in Colorado, but the rest of the state was turning blue. Democrats held on to three congressional districts, including one now represented by Democrat Jared Polis. He was elected governor, replacing the term-limited Democrat John Hickenlooper. Democrats won the attorney general, secretary of state and state treasurer’s offices, all now held by Republicans. They also were on track to take over the state Senate from Republicans and expand their majority in the state House.